Are You Waking Up at 2am Every Night? It’s no fun constantly waking up at the same time every night. Once again, you’re losing sleep, and you might even struggle falling asleep, so now that you’re up, you’re up. If you can find out why you’re waking up at 2am every night, you can put a stop to it. We’ve found some common reasons for waking up in the middle of the night that we think could help you find your cause of interrupted sleep. Nighttime urination, also known as Nocturia, can be triggered by many things. Yet, if you’re finding yourself waking up at the same time every night to pee, even if you are limiting your liquid intake in the evening, you might want to try sipping more water before bed. Just be sure to add a little salt. Jonathan Steele, RN and executive director of WaterCures.org, tells us that our bodies will naturally try to maintain an internal balance of water and electrolytes. Drinking too much water without enough salt will cause the body to release some of the water. This could be the explanation of getting up to pee in the middle of the night. Try drinking a glass of water with a pinch of salt added at least thirty minutes before bed. This will enable any water in your system to be absorbed into your cells instead of exiting the body through urination. If you’re in front of your computer right before bed or scrolling through your social media on your phone, you can affect the quality of your sleep. Exposing the eyes to bright lights before bed can prevent the body from producing melatonin; the hormone which helps us get to sleep. Do yourself a favor and put the electronics away long before you are ready for bed. To help your body recognize it is time for sleep, dim your room lights and strive to make your last hour before bed screen free. If you cannot eliminate all screens, at least dim your phone or tablet as the blue light emitted from either of these is the most problematic. Stress from either your personal life or work life can be a huge contributor to lost sleep. If you are regularly stressed, find the root cause of your stressors and eliminate them if possible. It is also recommended to practice meditation or breathing exercises to further your relaxation, which will allow you to sleep more easily and stay asleep. Drinking a few alcoholic drinks can make you tired, but they can also interrupt your night’s sleep. The sedative effects of alcohol can make you fall asleep, however, when your body is metabolizing the alcohol, it will put your body in a form of sleep which does not allow you to enter REM sleep. The REM sleep is the most restful sleep; not hitting this stage of sleep will cause your night to be restless, and full of tossing and turning. Try skipping that evening nightcap or stop any drinking after 7pm to ensure the alcohol is metabolized before you are off to bed. This will help to stop you waking up at 2am every night. The National Sleep Foundation reports that feeling too hot can make it hard to stay asleep- or even fall asleep. Your bedding, your pajamas, and your room temperature all contribute to keeping your body at the right temperature for sleep. Overall room temperatures of between 60 and 65 degrees Fahrenheit are ideal for most. Tossing, turning, and continually waking up during the night can become troublesome for your mental and physical health after long periods of time. 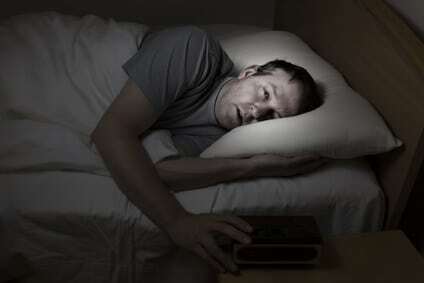 If you are waking up at 2am every night, examine your daily habits to find the cause of your sleep disturbance. Once you discover what is causing you to wake up, you can adjust your life or habits to fix it so you can, at last, get a full night’s sleep.